This story is sponsored by Be Inclusive. 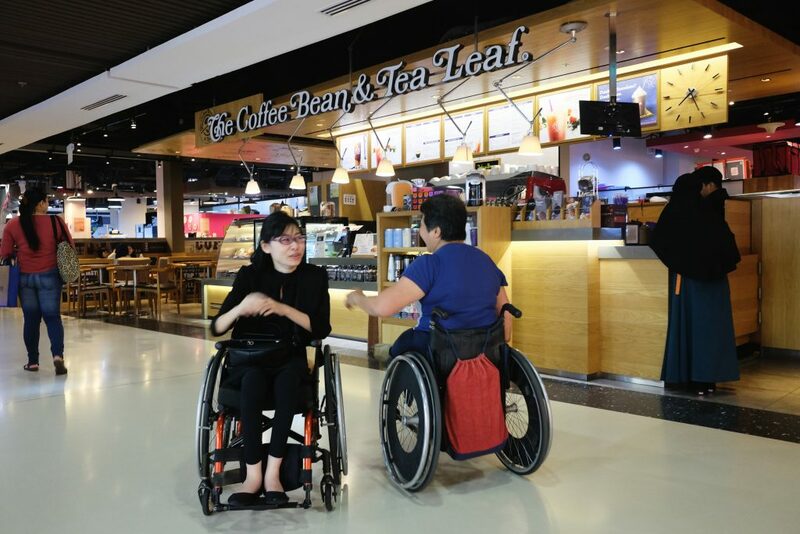 Deftly, the 26-year-old swivels round and grins, one hand expertly guiding the right wheel of her wheelchair while the other rests in her lap. 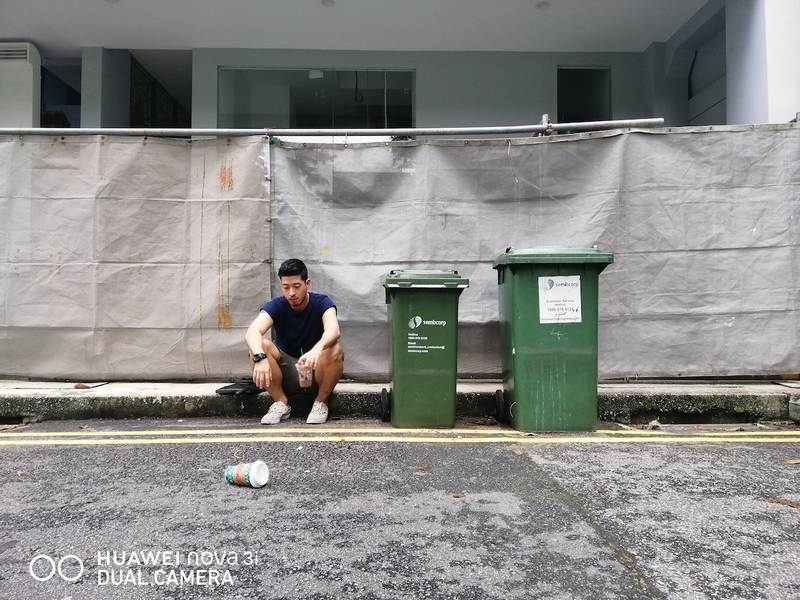 Just 5 minutes before this, in the open piazza outside the mall, the three of us had attempted in typical Singaporean fashion to decide what to have for dinner. 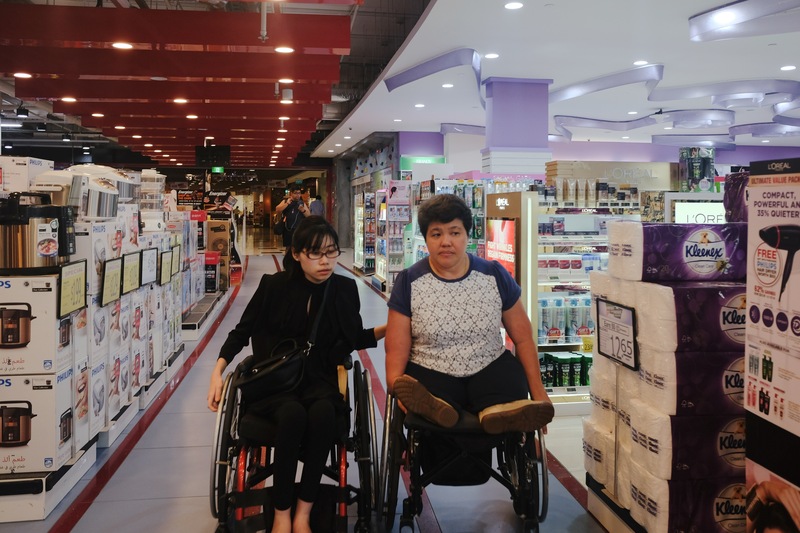 Apart from the fact that both Amanda and Judy are in wheelchairs, we looked just like any other group of friends—all equally indecisive and reluctant to take responsibility for the group’s diet. “I’ve never been here before,” I say. Which is true, and while also an obvious cop out, I’m trying not to be insensitive because I don’t know if there are particular restaurants they prefer for their accessibility. Following that, like many an aimless family, we go on a tour of the ground floor, discussing whether we feel like Thai food or chicken rice. 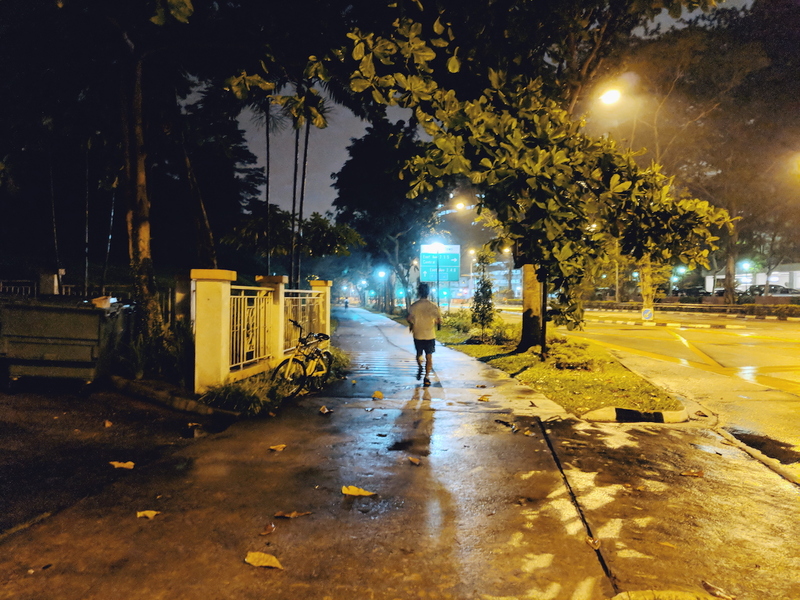 “Not that there’s anything special about how we do it lah,” she adds, as I awkwardly mumble something about how I was just trying to be helpful. Amanda (left) and Judy (right) exchanging light banter as we decide what to have for dinner. Fortunately, Amanda's helper is occasionally around to help out. Before I began my interview with Amanda and Judy, I was under the impression that their dietary habits would differ significantly from mine. Out of convenience, were there particular foods or dishes they ate a lot more of as compared to others? Did they have to take many different things into account when planning meals? What was something they had always wanted to cook, but were unable to because of their disabilities? Eventually, I find out that like many other Singaporeans, they’re fortunate enough to have parents who cook for them. This, on most days, settles dinner. 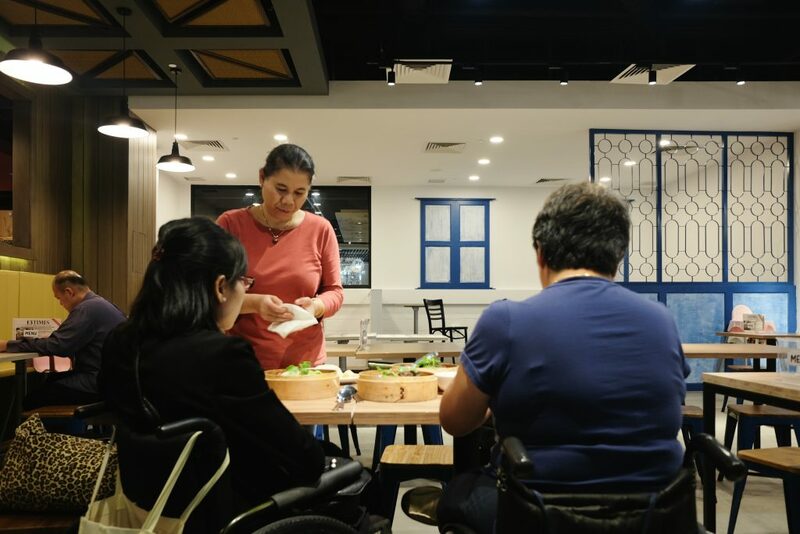 Judy, who works for the Muscular Dystrophy Association (MDAS), regularly eats out for lunch in the Bishan area, where MDAS is headquartered. 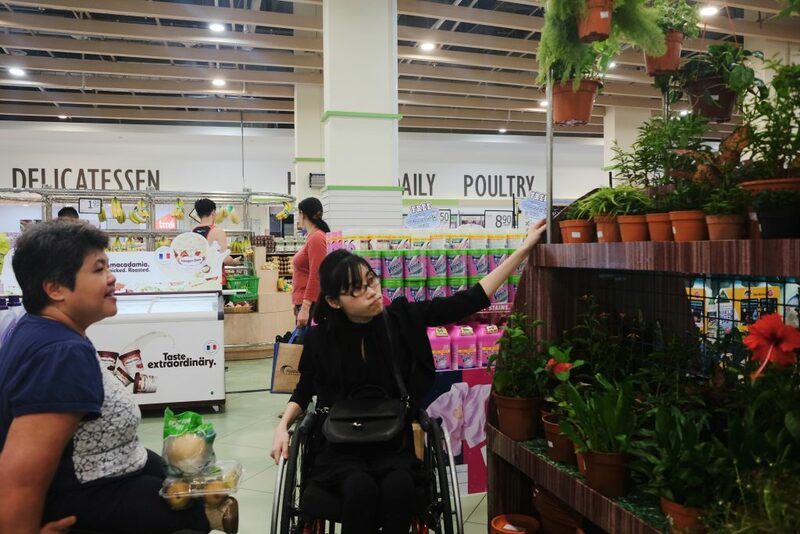 Because they work with individuals with muscular dystrophy, she usually accompanies members, who attend regular programmes at MDAS, to buy lunch. As for Amanda, who works in banking in the CBD, lunch is broccoli with chicken about twice a week. 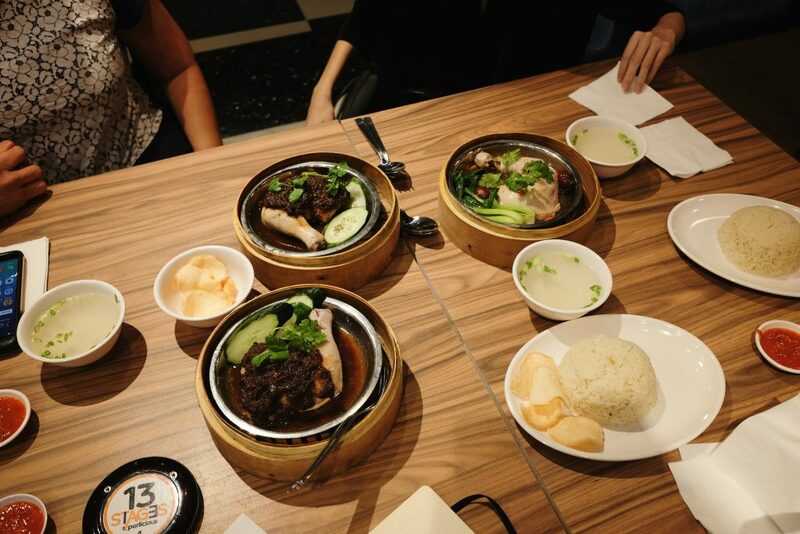 On other days, she gets her colleagues to ‘da bao’ for her. 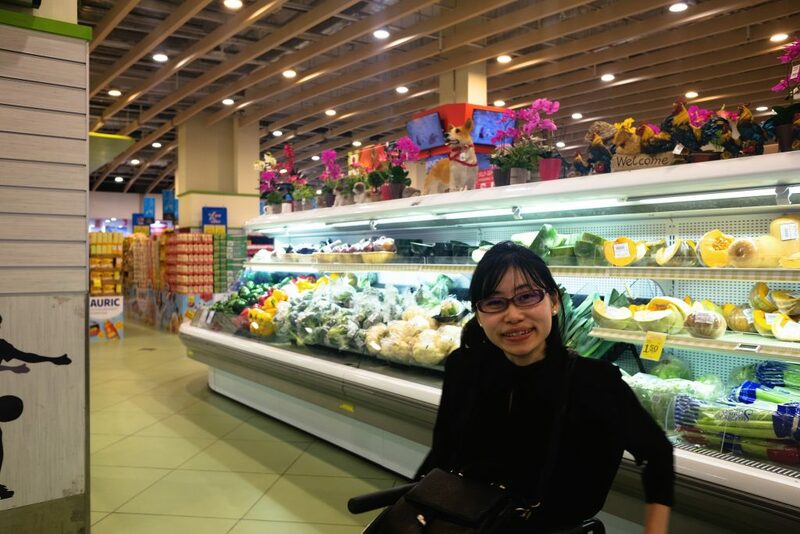 When we swing by the supermarket, she lists some other things she likes: bananas, cherry tomatoes, and potatoes. She’s careful to emphasise that she doesn’t eat this way because of her disabilities. Sure, the food is easy to prepare; she also avoids eating out during lunch because the CBD at lunch hour is basically the movie Jumanji, which any regular human being can relate to. Instead, she eats like this because she enjoys it. “What, why?” Amanda counters, not quite offended but nonetheless a little defensive. Shopping for oil for Judy's wheels. From my perspective at least, it’s almost too easy to attribute the struggles of Amanda and Judy to the fact that they both use a wheelchair. Yet when Amanda concedes, “Yeah, I think you’re right,” she doesn’t sound like someone whose physical limitations dictate her lifestyle. Rather, she sounds just like any other millennial who’s gotten a little too used to living at home. From those who never lift a finger to help with laundry to those who don’t contribute to household expenses, she echoes the sentiments of many of my friends—especially those in their late 20s and early 30s who still live with their parents. That said, when Amanda does go out for a meal, it matters whether or not there’s a friend who’s meeting her. 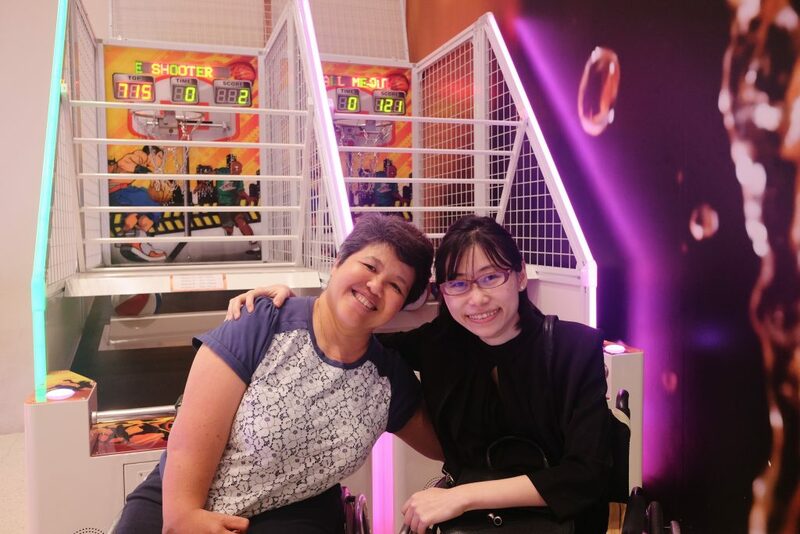 In a Straits Times article from last month, Judy took a fellow wheelchair user, who was visiting from Thailand, on a tour of Singapore’s Central Business District. 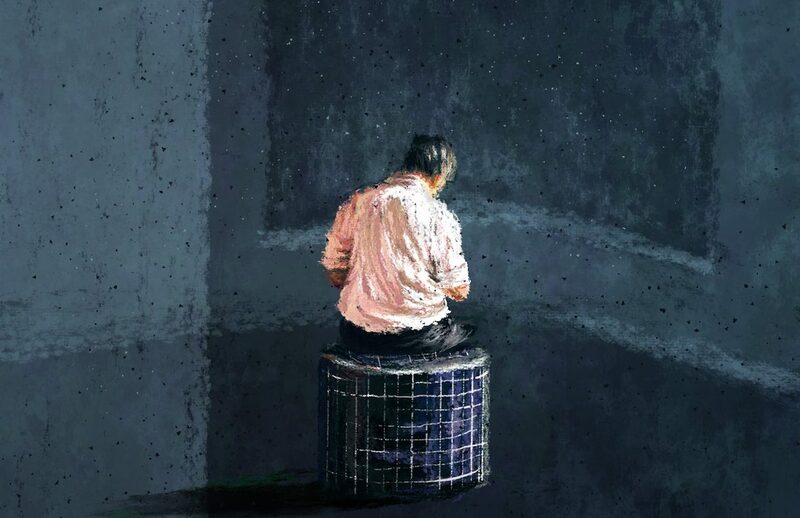 The article details the challenges they face: from detours to turning back after encountering staircases without ramps, one can almost sense their frustration as they engage in what Judy calls “an adventure in getting lost”. At the same time, Judy makes it clear to me that she considers both her and Amanda lucky because they’re both working, can afford to eat out on a regular basis, and “money is not a concern”. On top of her day job, Judy works as an accessibility consultant; she also drives, which means she can pretty much go anywhere she wants. Yet there are also many others who lead dramatically different lives, she tells me. They aren’t able to find work, and they don’t have family members who can help them out. 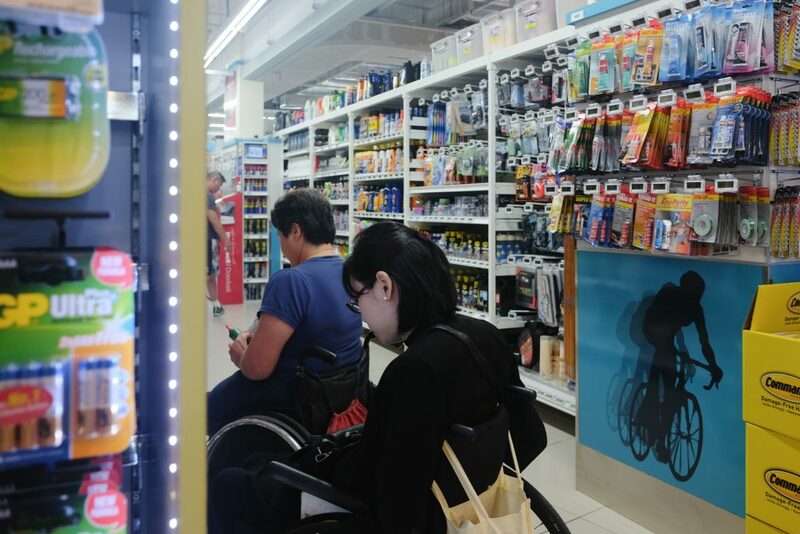 In a blog post by Be Inclusive, an app and platform that aspires to shape more inclusive cities, it is described how even “disabled-friendly” features like tables with no chairs can isolate those with disabilities—they end up forced to sit alone or with other wheelchair users, and their able-bodied companions have to sit elsewhere. This is obviously not intentional, but one can’t deny that it’s a feature that lacks sufficient empathy. So the point isn’t really to give these individuals food, or even money to make their lives easier. Rather, it’s about getting to a place where we instinctively take into account the needs of diverse individuals. When including everyone becomes second nature, that’s when everyone benefits, whether socially, professionally, or simply in terms of convenience. With the belief that inclusive societies are happier, more productive and innovative, Be Inclusive is an app platform that helps minority communities and other diverse groups identify and find everything from non-judgemental doctors to accessible social hangout spots. For small-medium businesses, using Be Inclusive to serve minority communities better can result in consistent business value. Download the app here.